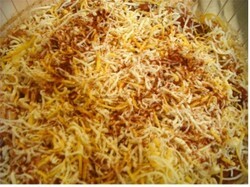 This is a quick, easy and delicious Taco Casserole Recipe. You can start fixing dinner 1/2 hour or less before you're ready to sit down and eat it, because it takes 15 minutes or less to prepare, and 15 minutes in the microwave on high to cook unless your wattage is low, then it may take and extra 5-10 minutes. Cooking in the microwave means that your kitchen doesn't get heated up on hot summer days. It also saves time any other time of year. Taco Casserole is a favorite with my family. 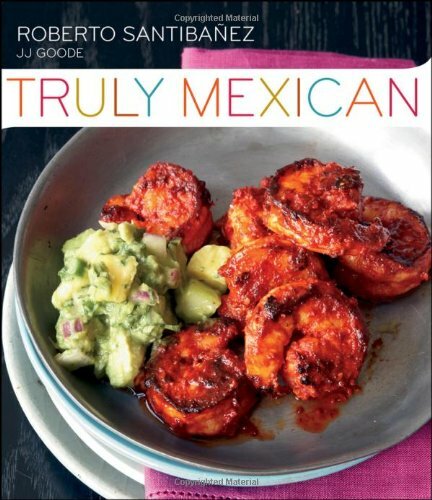 Like so many of the recipes I use, this one evolved over time into what it is today, and is not copied from any other recipe, any similarity is coincidental. I'm going to share this Taco Salad Casserole recipe in printable form and with large pictures and instructions. If you add a can of organic corn, it will add more fiber, moisture, and will increase quantity so it should make 4 moderate portions. I am making this recipe tonight at this typing and will be adding corn, 1 can, drained. 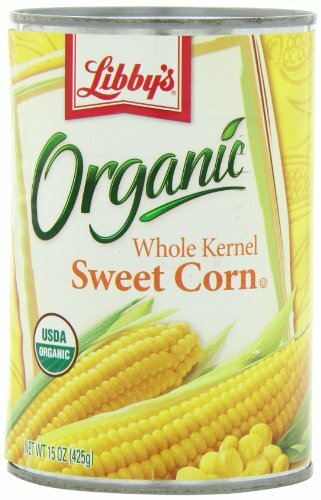 I make a special effort to get corn and products that contain corn in organic form because it is one of the foods that is highly likely, unless organic, to be Genetically Modified - a GMO Food. I often purchase food online, and sometimes the prices are better than the supermarket. Then there are those who live in remote places that find it convenient to have their food delivered. If an item in the list below says it is "fulfilled by Amazon" and your order is $35 or more, or you are a member of "Amazon Prime", you can order and items are delivered free of shipping within a couple of days...you can also join "Prime Pantry" and so much more. Compare prices with your supermarket and see if this works for you. We keep several things in our Amazon cart that we like to buy in bulk, and watch for the prices to be where we like them when we order. They go up and down. For example, I put in an order for something that usually runs $9.95 a bag at our store. Amazon had it at the same price until about a week ago, it went down $2, so I ordered 4 bags saving myself $8 because shipping was free and the item was marked down. Chi-Chi's® Diced Fiesta Green Chilies. Sargento Classic Old Style Mild Shredded Cheddar Cheese, 3 Ounce -- 12 per case. Please rate if you have a chance to try this! Simple as can be - take all of the above (save some cheese for topping) and put into a casserole dish sprayed with cooking spray (like PAM), stir well, top with shredded cheddar, sprinkle top with Chili Powder and Cilantro for color and flavor. Microwave for 15 minutes...my microwave oven is 900 Watts, you may need to adjust according to your wattage. Serving Suggestion: We usually eat this with some salsa and sometimes guacamole on the side, and a nice tossed salad. Image could be better, but shows the casserole served with a few chips, tossed salad and watermelon wedges. 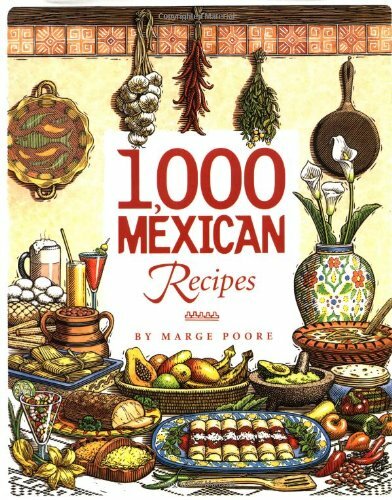 More Mexican Recipes - 1000 of them! Thank you, it is, I have to make it again very soon. I do think this would be tasty. @cruiseready that would be fine! I try to keep sodium reasonable too since high bp became a concern. @DerdriuMarriner I hope you get to try this easy recipe sometime, if it's the kind of thing you enjoy. Thank you for visiting. happynutritionist, Thank you for sharing this recipe which definitely is photogenic and offers a new blend of tastes and textures. Yes, it can be baked in the oven, but I'm not sure how long as I've never done it. If you do so, please let me know how long it takes to cook that way. If you do, let me know how it comes out. Thanks for visiting! How did it come out? I hope it was good, let me know and it will help me know if I've missed anything, but I do think it's complete.